These days, homeowners want to customize their bathroom to be a spa-like retreat: a special place in the home where they can get away from it all. We believe a shower should not only act as a beautiful focal point in your bathroom, but also as an area to simply relax. 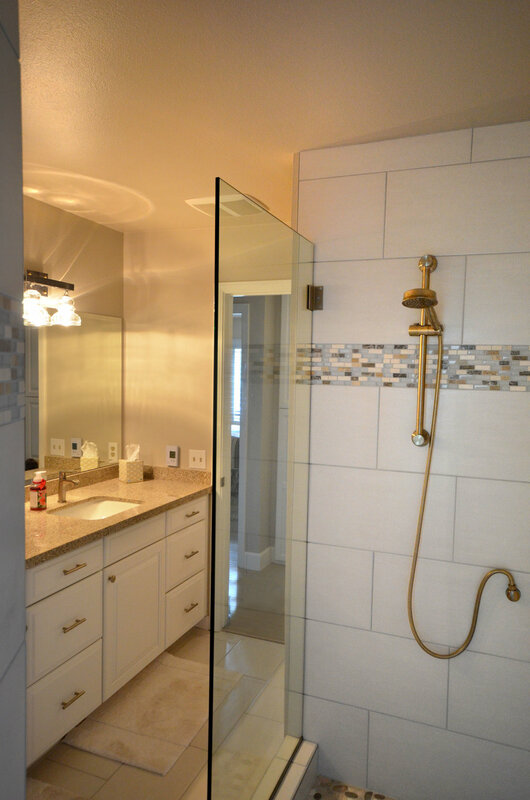 To complement our bathroom remodeling services, New Life Bath & Kitchen offers shower design and remodeling which can be paired with or without a full bathroom remodel. We've been in business since 1978, and have worked hard to become the Central Coast's most trusted shower remodeler. We pride ourselves on our craftsmanship and paying attention to how the smallest details work together create a beautiful, functional space. We work efficiently, will keep the work area clean during the project, and can transform your existing shower in as little as two weeks. 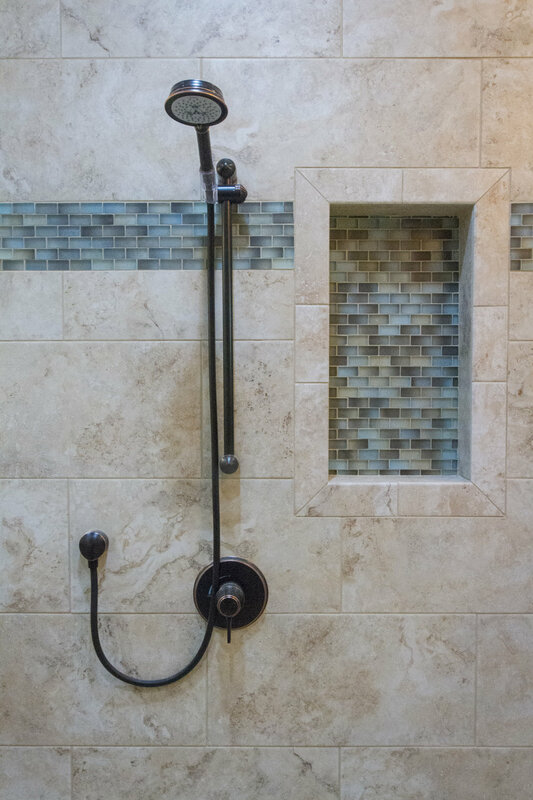 One popular request from homeowners is the installation of a curbless shower. A zero threshold shower is a shower that allows you to walk in directly without having to step over any divider or threshold. Not only is this a stylish shower upgrade, but it also improves accessibility and can be especially helpful for older adults, people with arthritis, and people with disabilities. One of the latest bathroom design trends is the transition from a two-piece bath and shower combination to stand-alone units. New Life can convert that dated two-piece into a stand-alone shower, a conversion that will instantly modernize your home. If you currently only have a bathtub in your bathroom, that can also be converted into a convenient shower unit. New Life Bath & Kitchen offers affordable, professional and courteous service to homeowners in California's Central Coast, including Orcutt, Santa Maria, San Luis Obispo, Nipomo, Lompoc, Arroyo Grande and more. Get started on the shower you’ve been dreaming about by calling (805) 914-0359 or contacting us here. Polite workmen, and good clean-up. Ashley was very helpful! I especially appreciate your attention to detail and for the care and skill you put into our project. “ Very helpful. Walked us through the process. Helped with selecting materials and finishes. Communication was excellent. All work areas were kept neat and clean.